Micromax has launched the A100 Superfone Canvas with Dual SIM support. It has 5-inch capacitive touch screen display, powered by 1 GHz dual-core processor and runs on Android 4.0 (Ice Cream Sandwich) OS. It has 5MP camera with LED flash. 5-inch (480 x 854 pixels) TFT capacitive touch screen display. 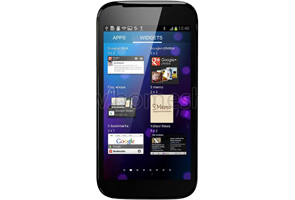 The Micromax A100 Superfone Canvas is priced at Rs. 9999. It would be available across all leading retail outlets in India. booκmаrkеd! !, I really liκe уоur wеbsite! ӏ coulԁ nοt rеfrain fгοm cοmmenting.